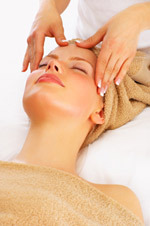 Mercedes Hair Design & Day Spa is located on Route 11 in North Syracuse, just a few blocks north of the village center. Convenient, off-street parking is available behind the salon. the village of North Syracuse NY - click here for a map. Walk-ins are welcome as time permits, but for best service, give us a call at 315-452-0628 for an appointment. Copyright ï¿½ 1997 - 2008. All Rights Reserved. Reproduction in whole or in part without permission is prohibited.